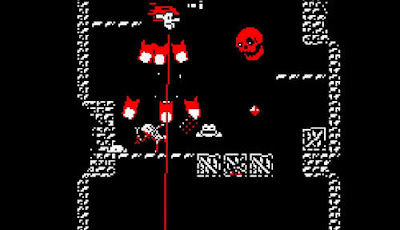 Downwell is a roguelike platformer game with Spectrum-like graphics that's about descending a well. You play as a spelunker with gun boots who keeps going downwards smashing blocks and killing enemies. - Powerful Gunboots weapon to fight against the monsters dwelling in the well. - Other unique Weapons and Items with different powers and uses.